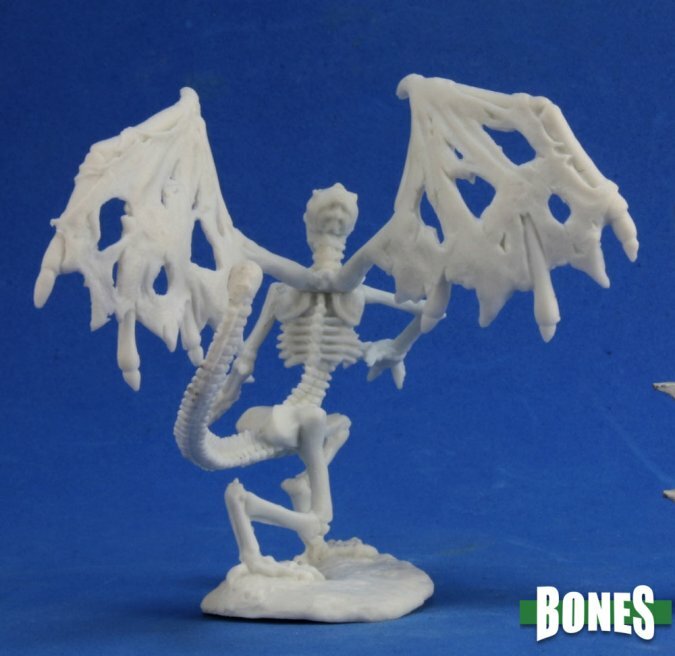 This Reaper Miniature is entitled Bone Devil, 77325, sculpted by Bob Ridolfi and contains one 25mm scale unpainted plastic miniature(s) from Reaper’s Bones miniatures line. 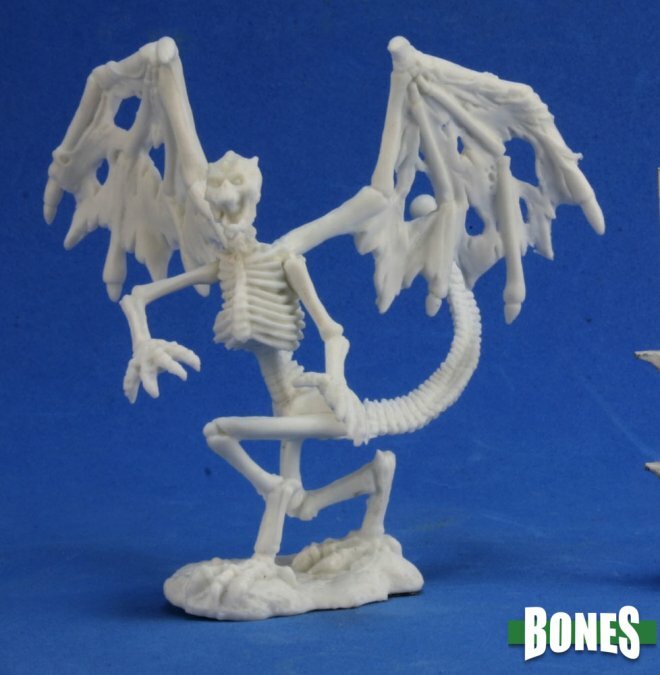 This Bone Devil Reaper Bones miniature comes unpainted and may require some assembly. The cubed shaped B in the photo shown against Bone Devil is approximately 1/4” 6.25mm in size. This gives you a good indication of the size of Bone Devil. 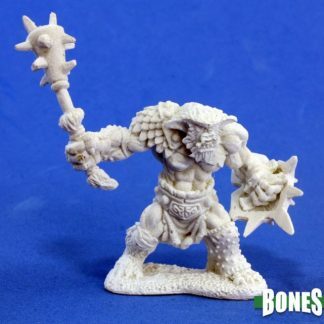 Bone Devil is from the Bones line of Reaper Miniatures. These minis are plastic/polymer and unpainted even if shown as painted in the photo.